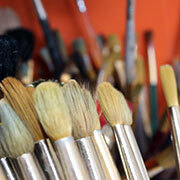 What is a Ceramic Painting studio? 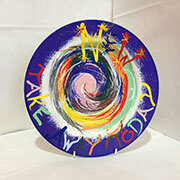 Ceramic painting is all about having fun! 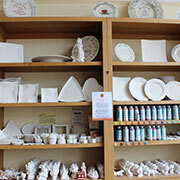 We carry a wide range of ‘bisqueware’ (unpainted pottery), together with brushes and under-glaze paint for you to decorate and personalise your very own masterpiece. 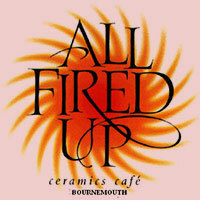 We then glaze and fire your item in a kiln, ready for you to collect in 1 week! All we ask is that you have fun! 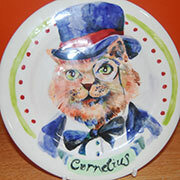 The cost depends on the item you choose to paint with prices starting at £3.00. There is also a studio fee of £3.00 per painter which covers your session in the studio, paints, tools, brushes, stencils, glazing & firing of however many pieces you decide to paint. On average about one and a half to two hours but it can take longer. Younger children tend to take less time than older ones. What if I don’t finish my piece? You can pay for your item, then leave it with us and come back and finish it another day. There will be an additional studio fee to pay on your return. The studio fee covers your time in the studio, paints, tools, brushes, stencils, glazing & firing of however many pieces you decide to paint. It takes around a week to glaze and fire your pieces. But what if I’m not very artistic? Don’t worry you don’t need to be Van Gogh! 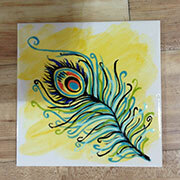 We have stencils, stamps and design books full of ideas and inspiration. We advise that you book especially during school holidays and weekends. Our contact number is 01202 558030. Anytime we happen to be full, we would always take your mobile number and call you as soon as a table is free, so don’t worry, it won’t take long to be seated. 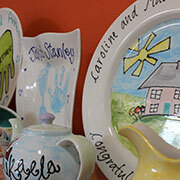 Definitely, all the paints are washable and we use non-toxic paints and glaze. We also provide aprons. Can you use the items in the dishwasher and microwave? No. Due to our bisque being earthenware we do not recommend using your item in a dishwasher or microwave. Yes we sell £5, £10, £15, £20 & £25 gift vouchers. Yes, we have a café onsite offering delicious Lavazza coffee, a variety of teas, soft drinks with made to order sandwiches and paninis. We also have a wide selection of yummy cakes including Gluten Free. Yes all items are extremely well packaged for safe delivery. It is very rare for an item to be broken in transit but should this happen we will offer a replacement or full refund of the amount paid.